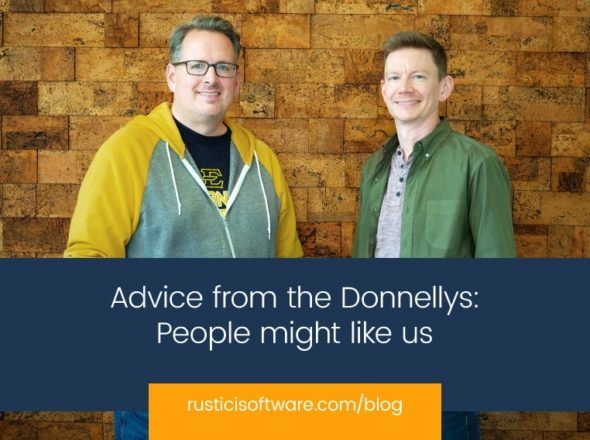 If you read this blog, you probably noticed we’ve been interviewing folks to help us with some of the non-technical aspects of our business. We talked to a lot of really smart people and two weeks ago four of them showed up at the office to start work. If you use our products, you’ll soon be getting to know Tammy. We have about 300 customers now and we don’t always stay in touch with you like we should. Tammy is here to change that. scorm.com has become a pretty popular destination. About 30,000 people visit every month and 500 of them sign up to use SCORM Cloud. We’re flattered by the following and we want to live up to our reputation. Our website doesn’t always do a good job of getting people to where they need to be and its content has fallen behind where SCORM and Rustici Software are today. Jeff is here to fix that. In a few days, we’re going to announce an exciting new project called the eLearning Atlas. Chris and Jena are driving it forward. If your company sells an e-learning product, be it an LMS, LCMS, authoring tool or off-the-shelf content library, expect to hear from them over the next few months. Stay tuned.